1 Who is Nathan Fillion? 8 Do You Know How Rich Prominent Actor, Nathan Fillion Is? 9 Do You Know About His Relationship Status, Affairs, Marriage, Children? Born Nathan Christopher Fillion on the 27th March 1971, in Edmonton, Alberta Canada, he is an actor, voice actor, best known to the world from playing Richard Castle in the crime-drama series “Castle” (2009-2016), and previously as Captain Malcolm ‘Mal’ Reynolds in the short-lived TV series “Firefly” (2002-2003). The younger son born to June and Robert Fillion, who both were English teachers, Nathan has an older brother, Jeff, with whom he spent his childhood in Mill Woods, a residential area in Edmonton. Nathan went to Holy Trinity Catholic High School, and later enrolled at Concordia University of Alberta and the University of Alberta, during which time he was a part of the Kappa Alpha Society. 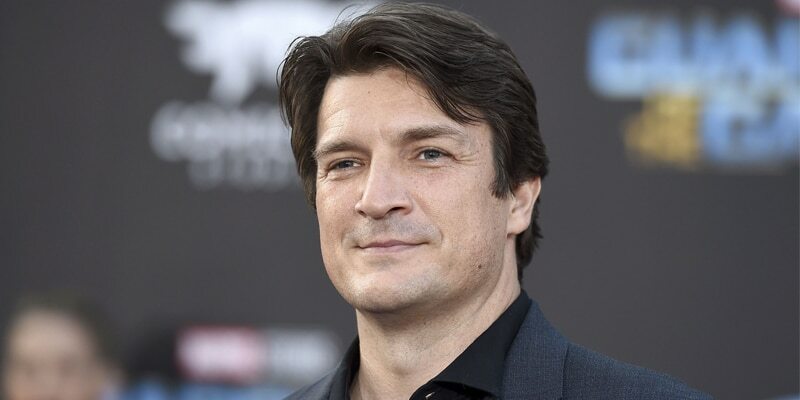 Nathan moved to the USA, settling in New York City in 1994, but not before he worked in several theatre, film, and television projects in his native Canada. He was a part of the improvisational theater Theatresports with Rapid Fire Theatre, and also appeared in the improvisational soap opera entitled “Die-Nasty”. Once he moved to New York, Nathan started auditioning for various parts, and got a pat on the back with the role of Joey Buchanan in the soap opera “One Life to Live” (1995-1997), when he left the show to pursue other projects, though he eventually returned for a brief guest appearance in 2007. Throughout the ‘90s, Nathan made several notable appearances, such as in the part of Johnny Donnelly in the TV series “Two Guys, a Girl and a Pizza Place” (1998-2001). He started the new millennium with the role of Father David in the critically-acclaimed fantasy horror film “Dracula 2000”, starring Gerard Butler, Justine Waddell and Johnny Lee Miller. 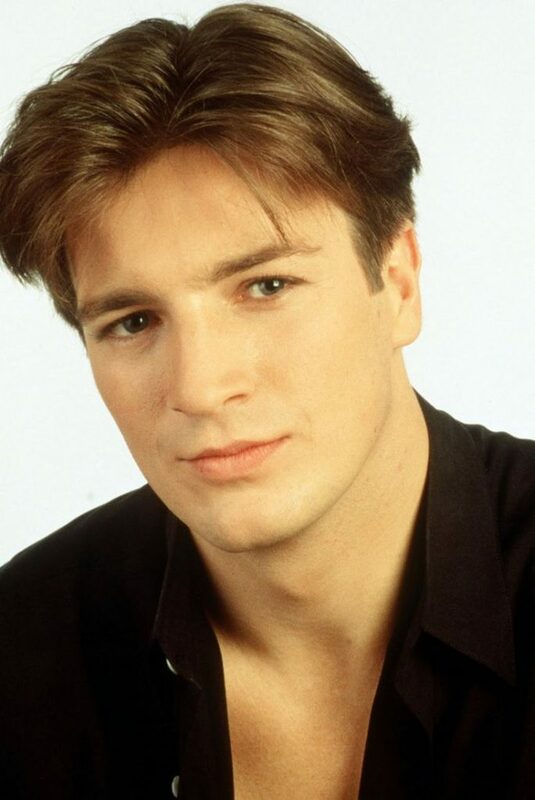 As the 2000s developed, Nathan became more popular as an actor, and as a result was cast in the lead role in the highly-acclaimed TV sci-fi action series “Firefly”, which although airing for only one season, won a number of prestigious awards, including a Primetime Emmy Award. Nathan then got the lead role in the action-adventure film “Serenity”, starring next to Gina Torres and Chiwetel Ejiofor, and continued in the same manner in the second half of the 2000s, starring in the sci-fi horror “Slither” in 2006, a film directed and written by James Gunn, and in 2007 starred with Keri Russell in the drama film “Waitress”. In 2009 Nathan got his most prominent role so far, as Richard Castle in the crime-drama series “Castle”. In the series, Nathan is seen portraying the titular character, a best-selling mystery writer who joins the NYPD and becomes extremely close to Kate Beckett, an NYPD detective portrayed by Stana Katic. At first, Becket is quite irritated by the very thought of Castle working with her, but as the series develops, the two become rather close. The show aired for eight seasons on ABC, before being canceled in an abrupt ending. Nathan won a number of awards for his performance, including four People’s Choice Awards. The role of Richard Castle certainly launched him to real stardom, and increased his wealth to a large degree, as he was eventually receiving $100,000 per episode. 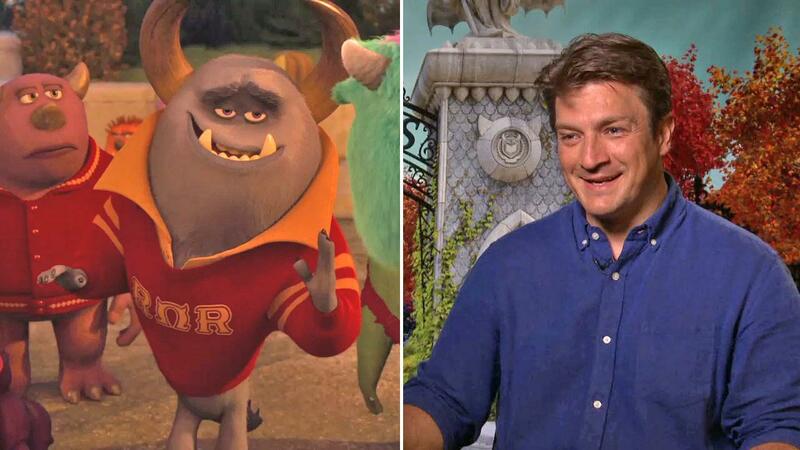 Concurrently with working on “Castle”, Nathan had many other projects, and also started a career as a voice actor. He featured in the epic-drama film “Percy Jackson: Sea of Monsters” in 2013, then from 2015 until 2017 he portrayed Jack Moore in the TV series “Con Man”, while in recent years, Nathan played Gary West in the TV comedy-horror series “Santa Clarita Diet” (2017-2018), and Jacques Snicket in the new take on the famous children’s books “A Series of Unfortunate Events” (2018). He is currently working on several projects, including the film “Nomis”, and the new TV series “The Rookie”, in which he will portray John Nolan. Nathan is recognized for his deep manly voice, and has used it to gain recognition as a voice actor as well. Back in 2013, he gave voice to Johnny in the animated film “Monsters University”, and in 2015 started giving voice to Green Lantern in a number of animated films from DC Universe. He is also recognized as the voice of Monstrous Inmate in the highly-acclaimed film “Guardians of the Galaxy” (2014). Most recently, he was the voice of Sterling in the third installment of the popular animated film franchise “Cars” in 2017. Do You Know How Rich Prominent Actor, Nathan Fillion Is? Since launching his career in the early ‘90s, Nathan has reached prominence with a few high-paying roles that have increased his wealth to a large degree. So, have you ever wondered how rich Nathan Fillion is, as of mid- 2018? According to authoritative sources, it has been estimated that Fillion’s net worth is now as high as $18 million – pretty decent, don’t you think? Some of his best-paying projects are of course “Castle”, and the film “Guardians of the Galaxy” (2014), which grossed over $770 million at the box office. Do You Know About His Relationship Status, Affairs, Marriage, Children? 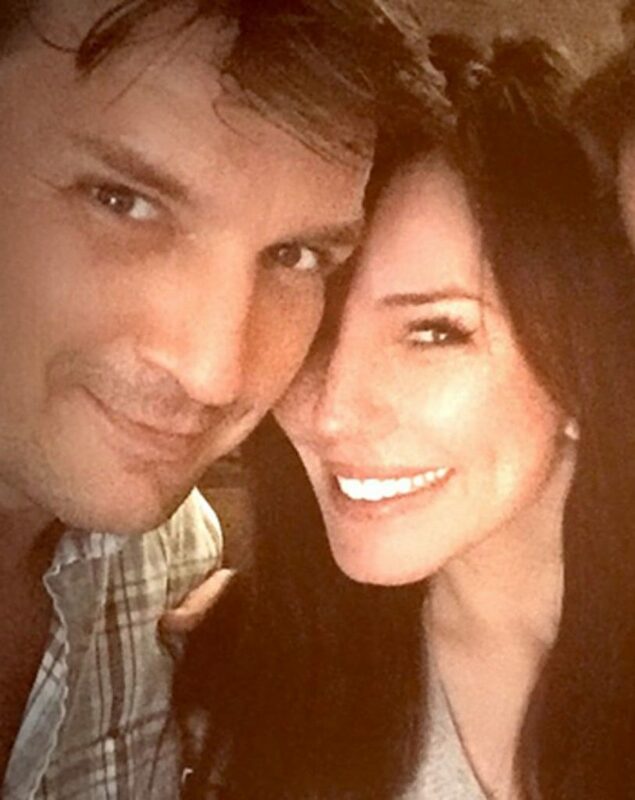 When it comes to his personal life, Nathan has been seen with a couple of gorgeous Hollywood actresses, including Krista Allen, with whom he has been in a relationship since 2015. The couple has failed to share their future plans, and fans are wondering whether the couple is ready to tie the knot at some point. In the past, Nathan was seen with such beauties as Mikaela Hoover, Christina Ochoa and Vanessa Marcil. Nathan has become quite popular on social media platforms, with over five million followers on the top three social media networks. His official Facebook page has close to 700,000 followers, with whom he has shared some of the most interesting details from his personal life, such as his visit to Disneyland. He can also be found on Instagram, on which he has around 900,000 fans, but his largest fan base is on Twitter, on which he has over 3.5 million followers, with whom he has shared his personal opinions, ideas, and events from both career and personal life. So, if you aren’t already a fan of this prominent actor, then this is a fantastic opportunity for you, just skip over to his official pages.